There were 71 attacks on Ukrainian positions in the last 24 hours. A record number of shellings occured in the direction of Donetsk, 62 in total; there were 8 shellings in the direction of Mariupol and 1 in the direction of Luhansk. 19 mortar attacks were recorded along the demarcation line. The information was presented by the ATO Headuqarters press service. Oleksandr Mituzyanyk, Prsidential Administration spokesperson on ATO related issues reported that 7 Ukrainian servicemen were wounded in the ATO zone on March 12, no one perished. Donetsk Public TV informs that more than seventy representatives of Slovyansk patriotic organizations decided to form “Slovyansk Patriots’ Union”. 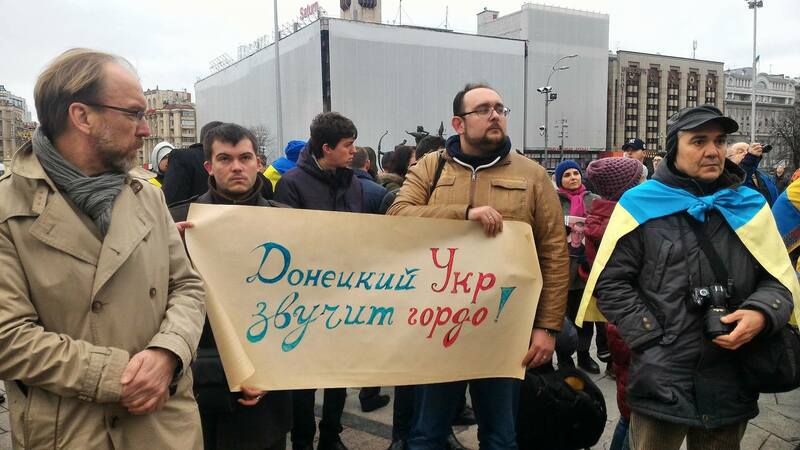 AN online petition of Kramatorsk residents got the necessary 250 thousand signatures which means it is to be considered by authorities. The town residents ask them to dismantle the pedestal of the Lenin monument which had been toppled earlier. 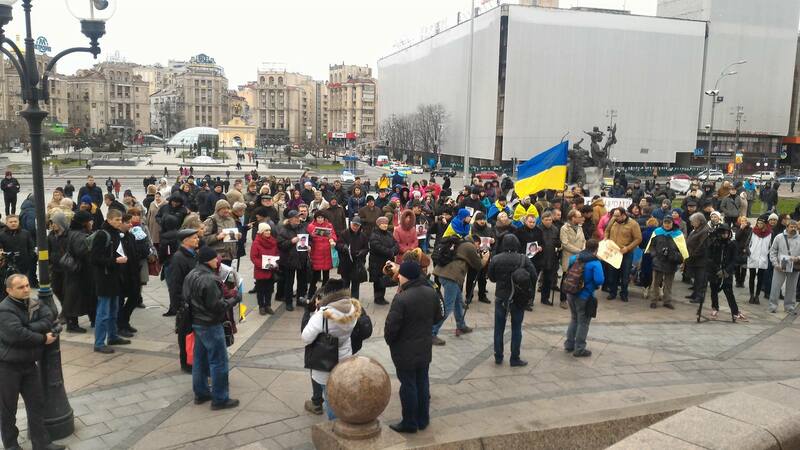 There was a rally in Maidan Nezalezhnosti in Kyiv to commemorate and consolidate Ukrainian patriots from the Donbas — “To Commemorate the Perished, to Defend the Alive”. About 200 people took part in it. They commemorated their dears, friends, comrades-in-arms who gave their lives for independence and unity of Ukraine. The withdrawal of armed units is necessary in the Donbas, but Ukraine should be the first to do it. It was claimed by Daria Morozova, who calls herself “DPR” “commissioner for human rights”, as separatists' site DAN informs. Donetsk filtering station has stopped working because of shelling, as separatists' site DAN informs referring to Eduard Basurin, representative of the illegal militants'grouping.